Beaded ID Neck Chains provide versatility for wearing your badge or ID. Features nickel-plated steel connector. 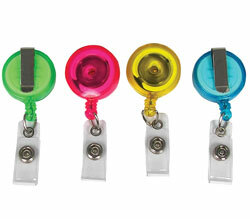 Durable plastic chains feature stylish 4mm bead. Black. 50/PK.